Domaine de La Castellane is an up-and-coming choice for St Tropez villa rentals for those in the know, combining comprehensive amenities with an attractive price point and an ideal location within walking distance of St Tropez town centre and the beaches of Bouillabaisse. 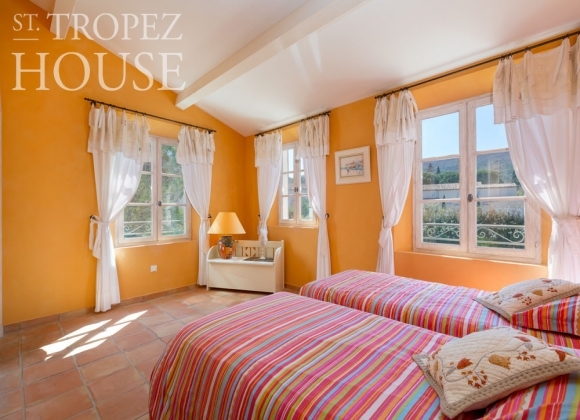 The Castellane area in St Tropez is ideal for villa rentals by families with children and groups of friends alike. The Castellane area is a magnet for those looking to enjoy the unique charm of St Tropez life from a charming Riviera home. 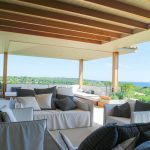 If quiet tranquility, birdsong and breathtaking views are what you’re after – look no further than a St Tropez villa rental in Domaine de La Castellane. Castellane is completely peaceful. A welcome respite from the 100,000 daily tourists which St Tropez welcomes in the summer months. Each of the twenty-one Castellane rental villas is set in beautifully manicured private gardens, in a peaceful oasis away from the road and traffic noise. In the mornings guests can fling open the classic French wooden shutters and let the beautiful clean sunlight of St Tropez stream in. An impressive gate with an entrance code marks the entrance to the Domaine de La Castellane. During the day, the territory is secured with a guard. The Castellane villas are all carefully spaced apart, meaning that you have distance from your neighbours but without a feeling of isolation. Inside, the villas are appointed in the classic French style and a perfect for large groups. Houses with 4 bedrooms and homes with 5 bedrooms are available to let in Castellane – all of which boast beautiful gardens and outdoor swimming pools with loungers and expansive outdoor dining areas. Another benefit for the Castellane Domain is that it not only welcomes families, but also offers pet friendly rentals in St Tropez. Therefore, guests are free to bring the family pet – for a relaxing St Tropez vacation. Three of the en-suite bedrooms are upstairs and finished in a classic Provencal colour palette. Another bedroom is located on the ground floor. Bed linens and bathroom amenities are all provided to ensure the perfect night’s sleep for all guests. Of course, the surroundings help. 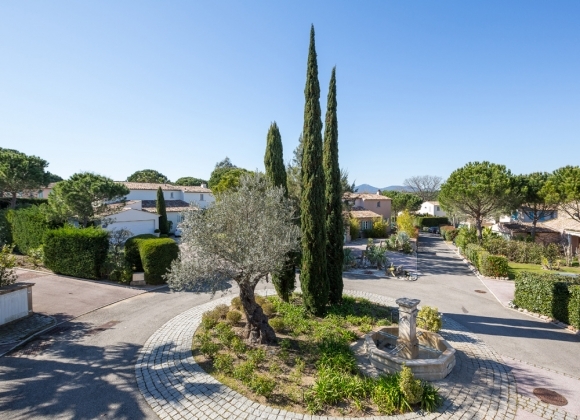 If you’re looking to rent a home with a garden in St Tropez, the fresh coniferous air of the region will no doubt soothe and revitalise. 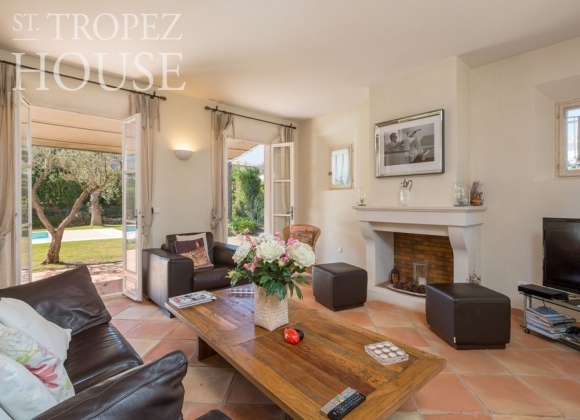 For those looking for St Tropez villa rentals with parking, you can also find villas with private garages on the Castellane domain. 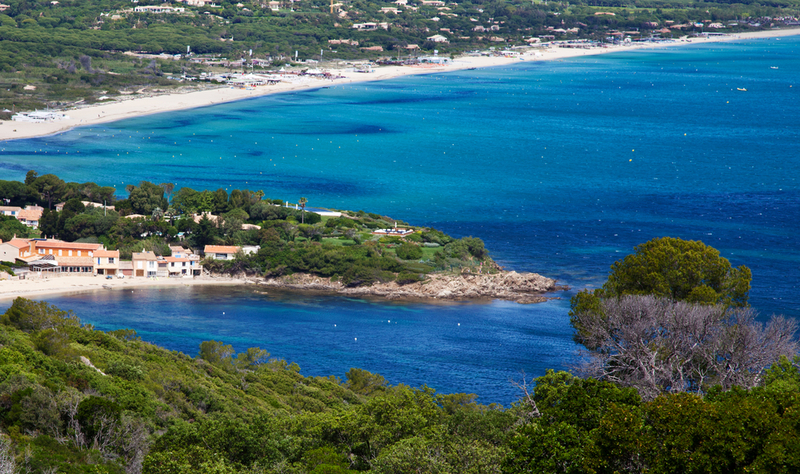 Whilst Pampelonne beach is a favourite with tourists and the international jet-set alike, locals in the know prefer the fine golden sand of Bouillabaisse Beach, positioned just West of Saint Tropez village. The luxury rental homes of Domaine de la Castellane occupy a prime spot just 300 meters from Bouillabaisse Beach. Many families are therefore drawn to Castellane because renting a summer home in the domain allows them to enjoy the clean shallow water of one of St Tropez’s finest beaches. On duty lifeguards are yet another reason why renting a villa in Castellane is so desirable for families with young children. After a day in the sun, many sea-worn guests choose to enjoy one of the many beach clubs on Bouillabaisse beach. There are many options to choose from including the eponymous La Bouillabaisse Plage Restaurant and Bar. However, those looking for more robust entertainment should look no further than Pampelonne beach. 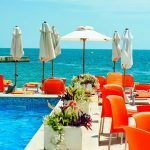 The beach clubs on Pampelonne beach are a mere 7 minute drive from the villa rentals in Domaine de la Castellane and offer guests the flexibility to set the pace of their St Tropez sojourn. Of course, all Castellane villas come fully equipped with large American-style kitchens. It will therefore come as little surprise that as part of their summer rental, many guests will hire a private chef to cook the freshest locally sourced ingredients with Provencal flair. There are many outstanding dining options for guests who can bear to leave the beauty and tranquility of Castellane. 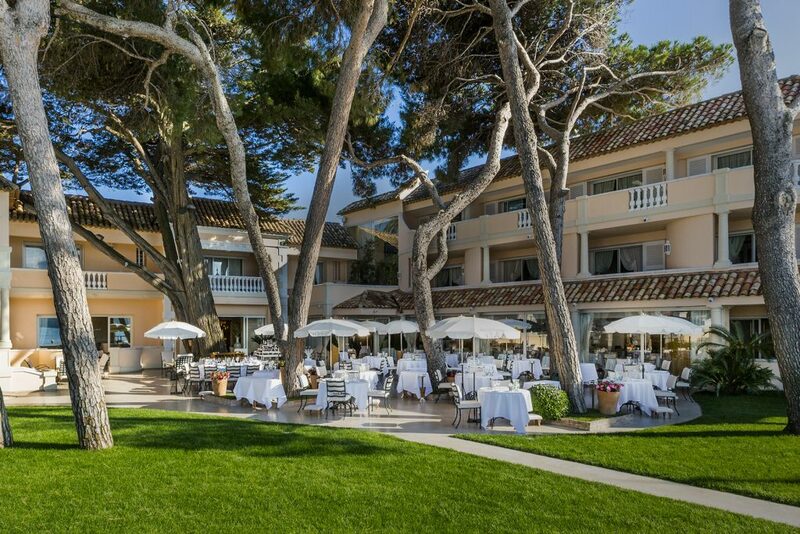 Just a short walk or drive away, lie some of St Tropez’s finest restaurants. La Table de Marche, owned by celebrity chef Christophe Leroy, offers modern bistro dining and a gourmet bakery, just a few moments from the old port. For more refined culinary palates, the Vague d’Or at the La Résidence de la Pinède offers three Michelin star cooking. And the Brasserie des Arts are just some of the few options available to those who are gastronomically inclined. Of course, the possibilities don’t end with St Tropez beach clubs and restaurants. No Saint Tropez vacation would be complete without a visit to one of the town’s high octane night clubs. The Byblos hotel’s Les Caves du Roy nightclub, Villa Romana and VIP Rooms are among the most renowned and within easy drive of the domain. The properties in Castellane are very competitively priced. The villas on the compound are among the few St Tropez villas available to rent by the week during the Summer months. Over the high season, the typical cost for a week’s stay is between 10,000 – 12,000 Euros. Off-peak, prices are around 20% less. As these villas are extremely popular, we recommend you contact Emilia for availability as soon as possible.